The 2019 community read focuses on L. Frank Baum’s enduring 1900 classic novel, The Wonderful Wizard of Oz, which tells the story of the magical journey of Dorothy Gale, her dog, Toto, and the faithful friends she meets along the way to the Emerald City. 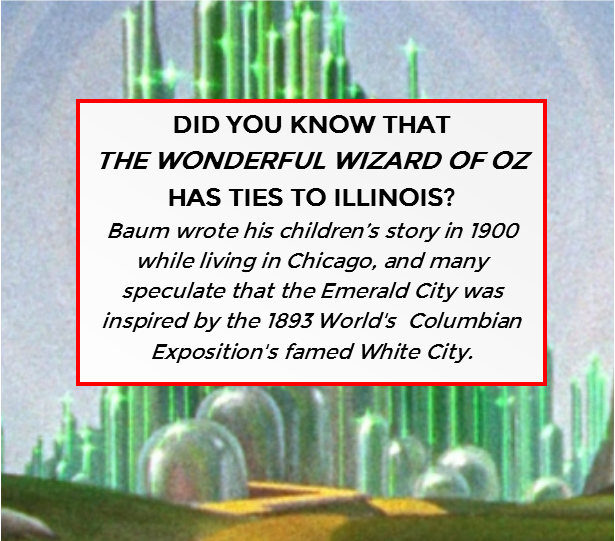 First published in Chicago, the book captured the hearts of readers and spawned countless book, movie and musical adaptations, and its timeless themes of adventure, friendship and good versus evil continue to live on today. By attending any Great Read program, or by reading a book or watching a movie related to The Wonderful Wizard of Oz, you can enter a free drawing to win prizes such as gift cards. Artists of all ages are invited to enter The Great Read Art Contest. Create an original piece of art inspired by The Wonderful Wizard of Oz. Submit your artwork along with an entry form at a participating library by February 15 for a chance to win a $50 Barnes & Noble gift card. Entries can be any medium (limit 24″ in height and width, a weight limit of five pounds or length of 2.5 minutes). Click here for official Art Contest rules and to download an entry form. 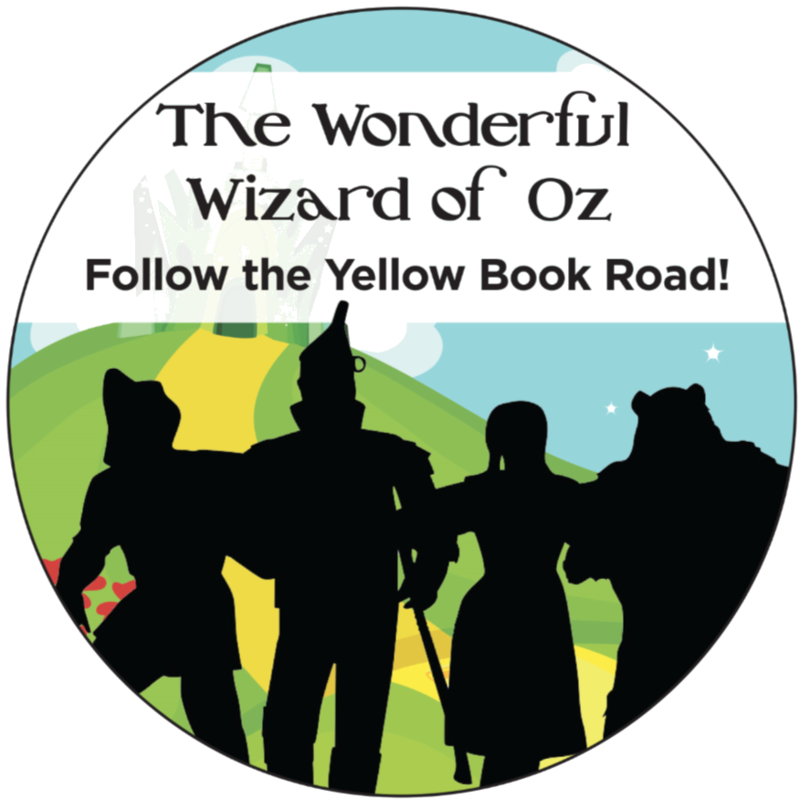 Follow the yellow book road to the Joliet Public Library Ottawa Street Branch to kick off The Great Read. Bring your heart, brains and courage and compete in Oz trivia during this "Toto"lly great night. Teams can be as large as 5 people, with singles welcome who can be matched into teams. Refreshments provided. Registration opens Dec 3. The Ottawa Street branch offers a free parking lot south of the Library on Ottawa St. Additionally, parking is free after 7:00 PM in the Ottawa Street Parking Deck (110 N. Ottawa St.) and Scott Street Parking Deck (11 E. Clinton St.). See parking map. Prizes, giveaways and refreshments, oh my! Celebrate the culmination of The Great Read by watching The Wizard of Oz (Rated G) starring Judy Garland. Attendees are encouraged to dress up as their favorite character for a chance to win prizes. The Great Read Art Contest winners will be announced. Refreshments and book giveaways (while supplies last). No registration required. The Great Read was started in 2004 as Reading Across Plainfield to promote literacy, reading, conversation and community in the greater Plainfield area. The program started in September 2004 with Fahrenheit 451, Ray Bradbury’s science fiction classic about government censorship. In 2008, Reading Across Plainfield was re-named The Great Read to encourage broader community participation, better reflect the areas served by the participating organizations and emphasize the program’s literary focus. Click here for a list of previous Great Read books and themes.